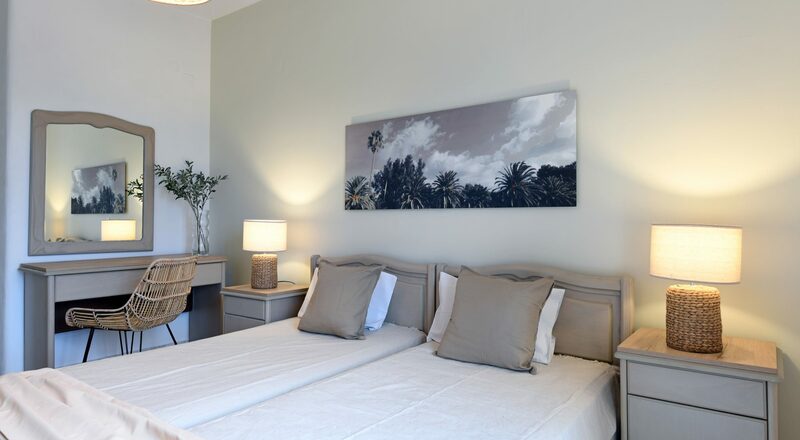 The standard triple room is a more spacious Option , ideal for small families. 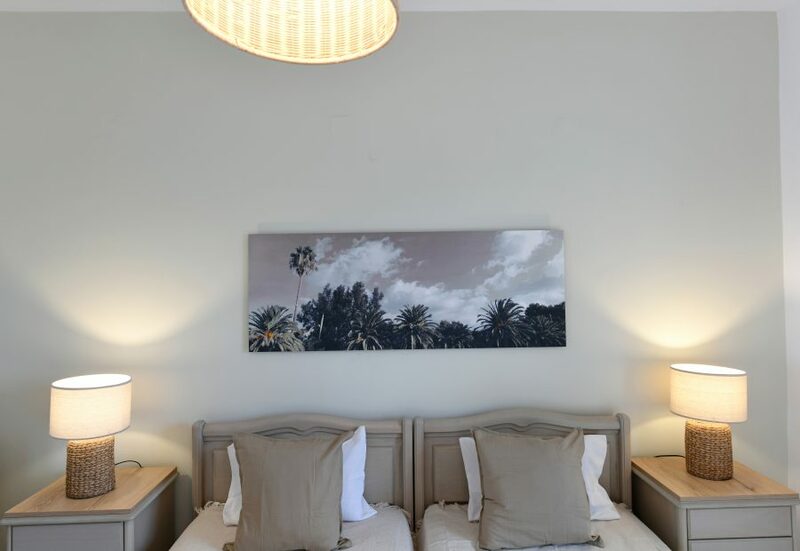 Featuring a double or twin beds, our standard side sea view rooms can comfortably accommodate two guests. 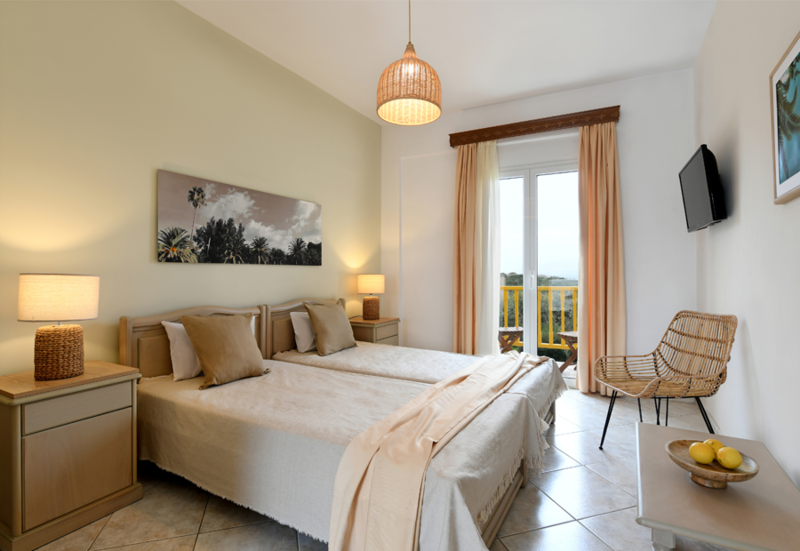 This room type comfortably sleeps three adults and provides views of our garden and partially the sea. 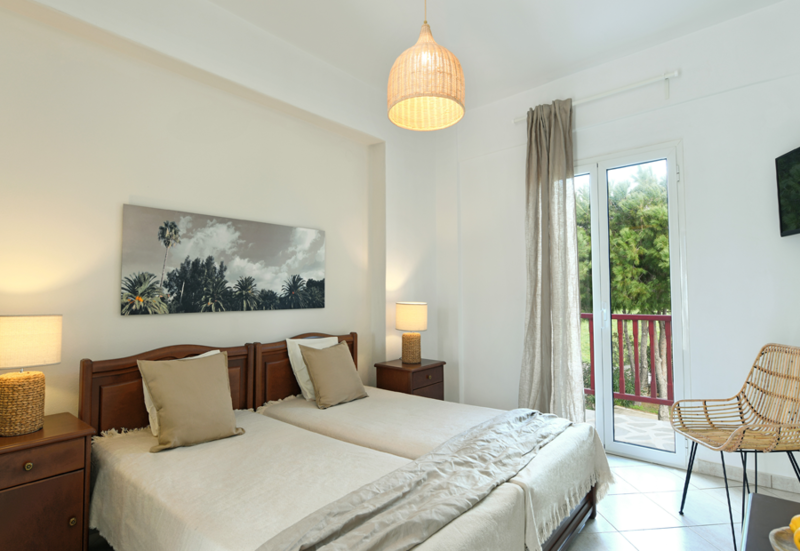 Double or twin bedded . 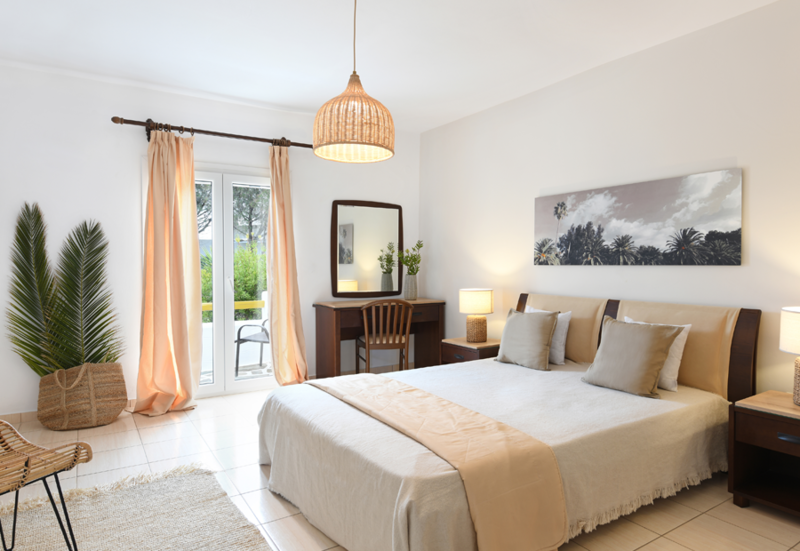 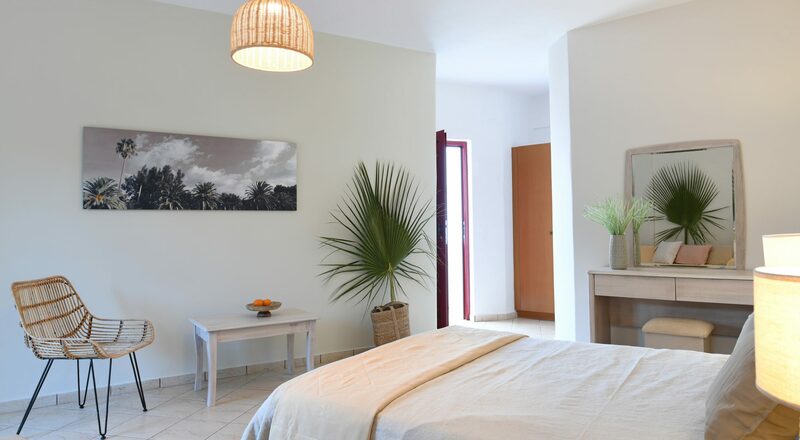 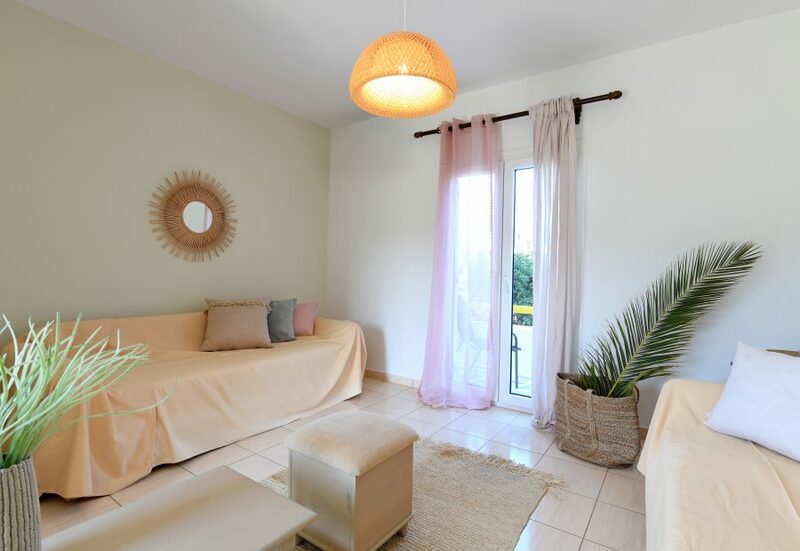 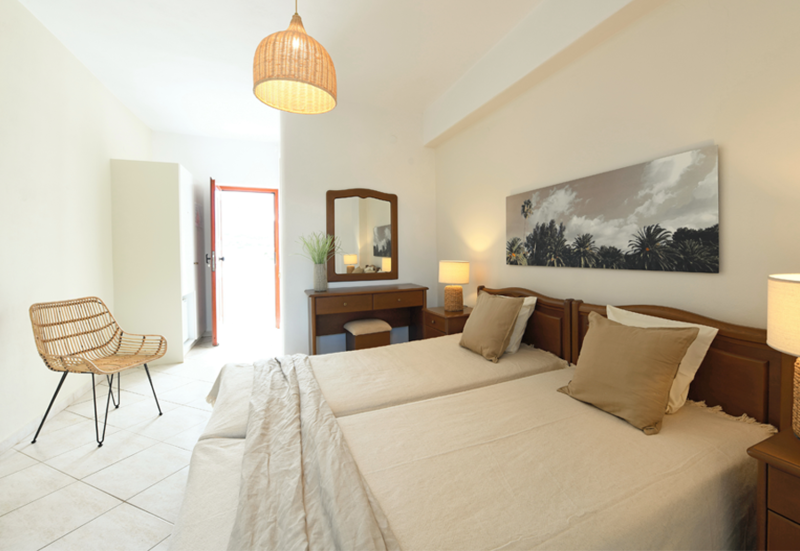 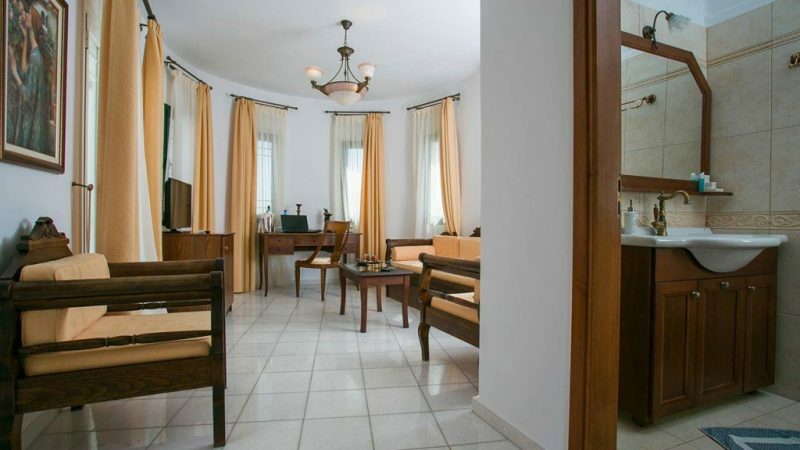 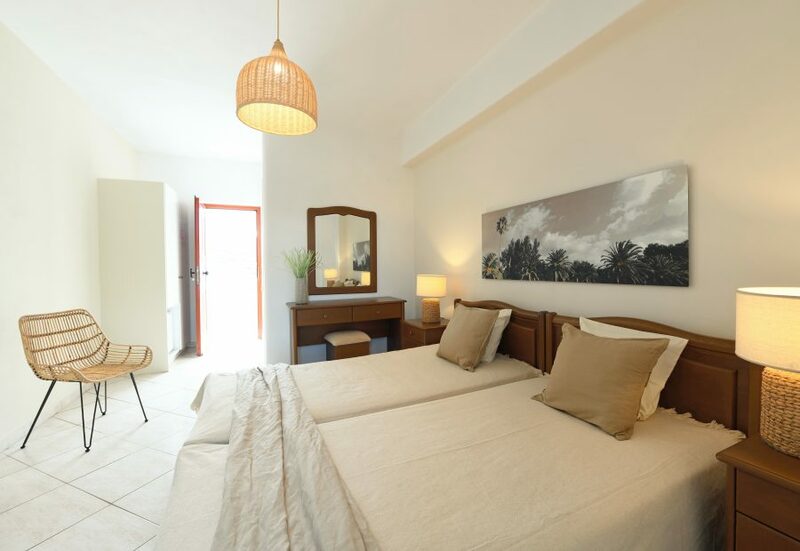 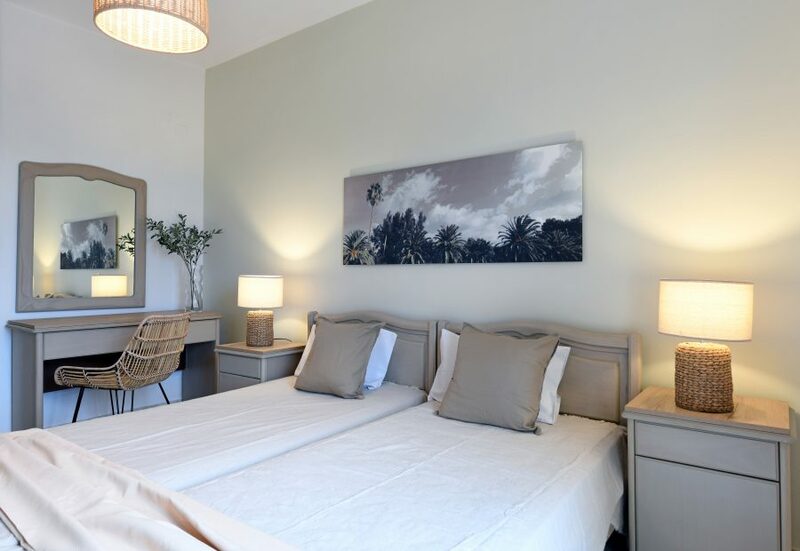 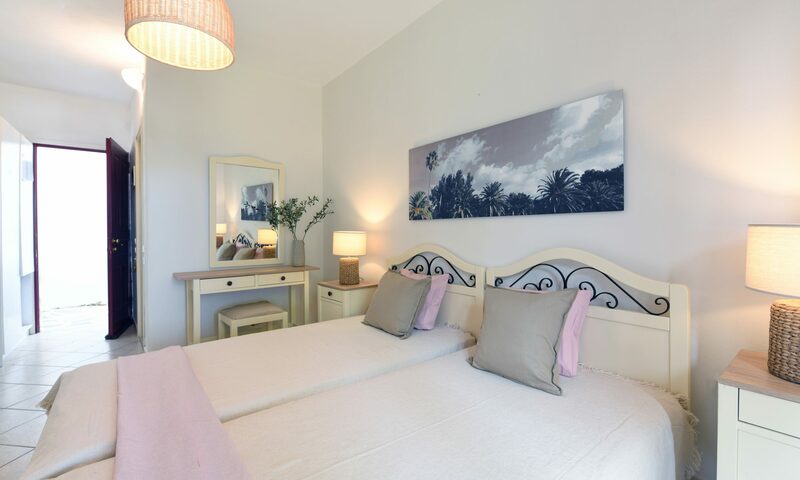 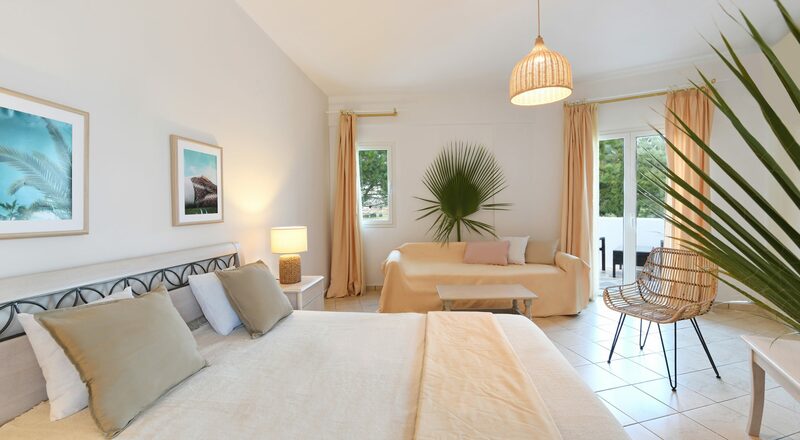 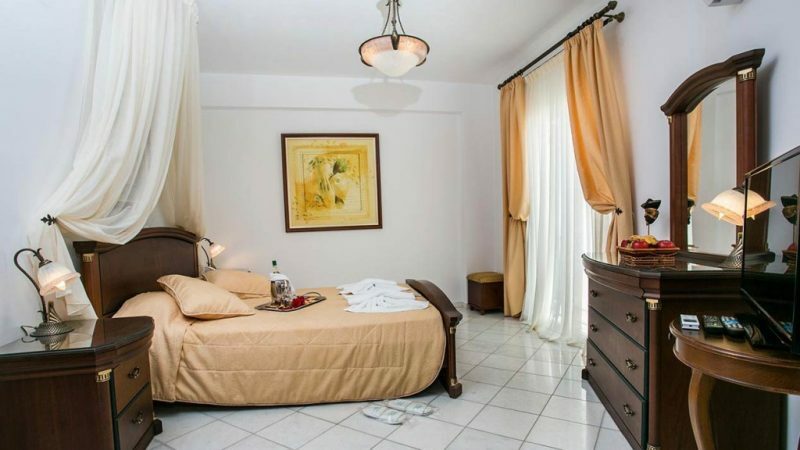 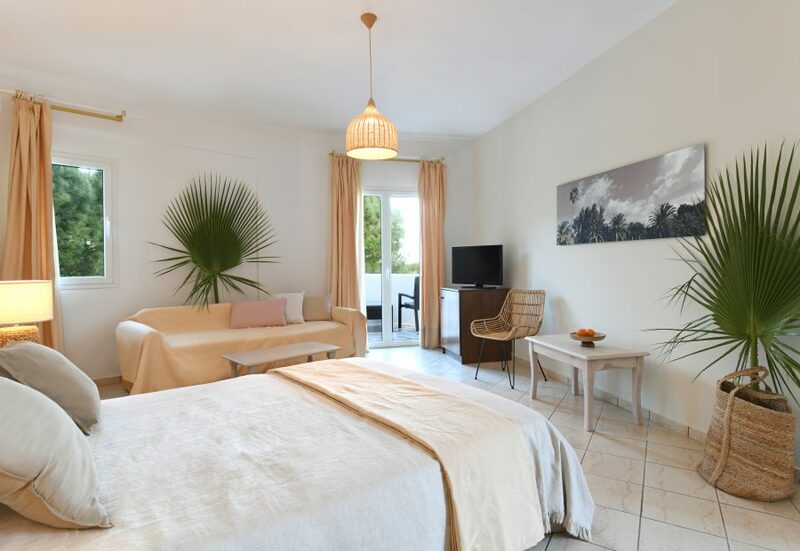 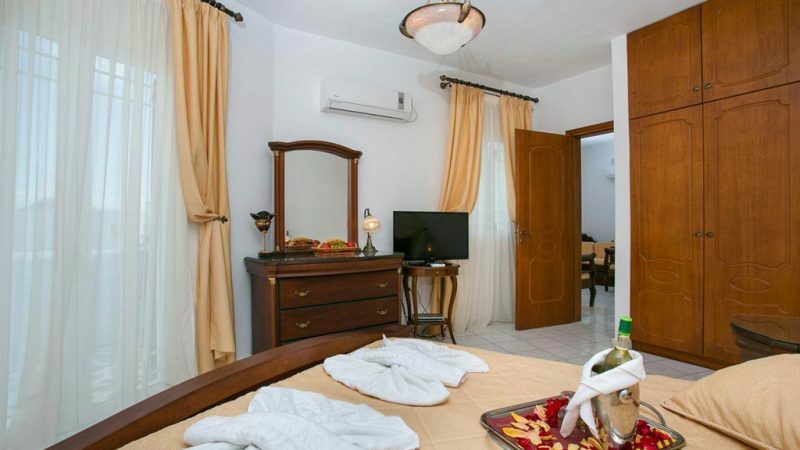 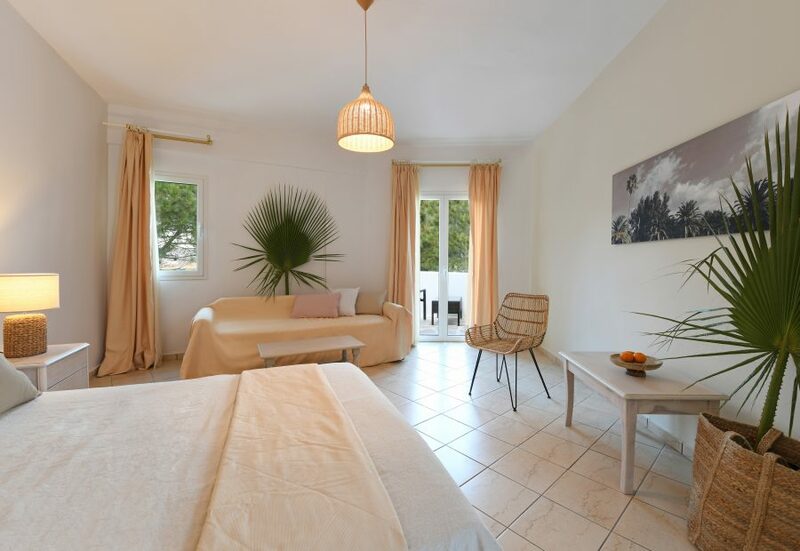 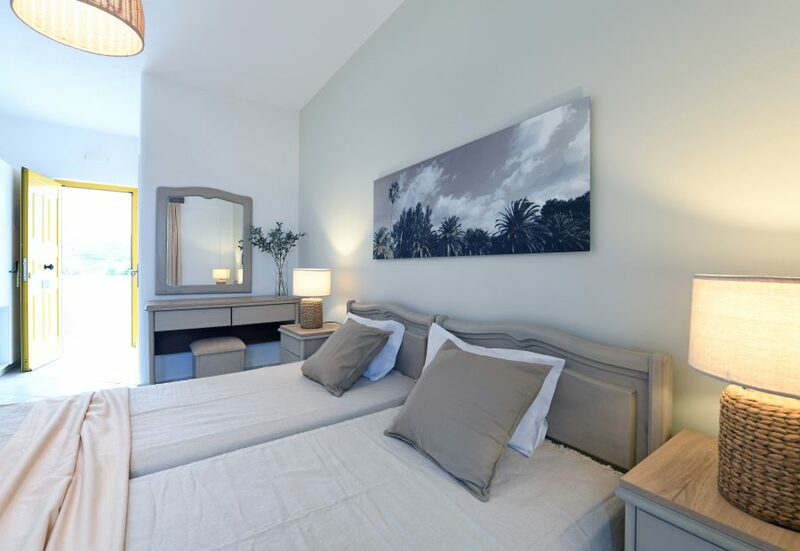 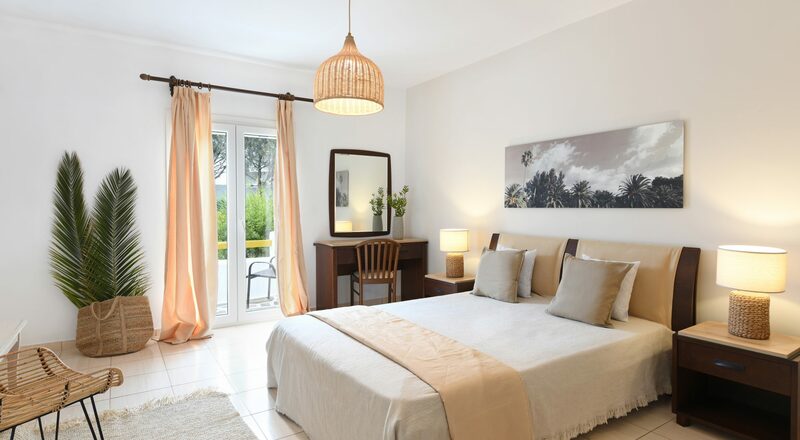 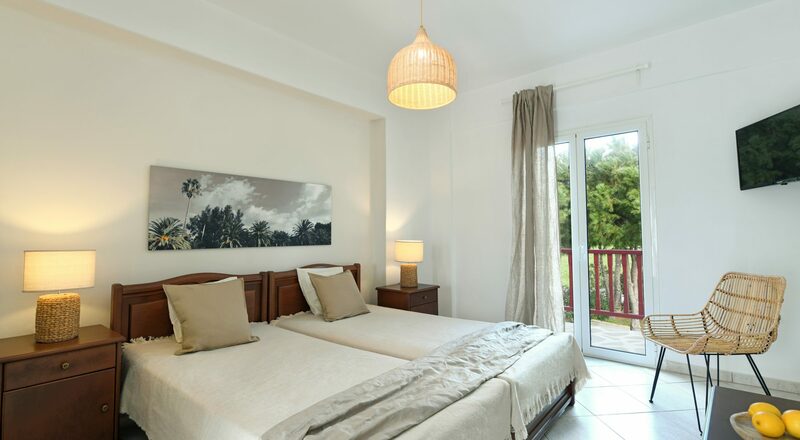 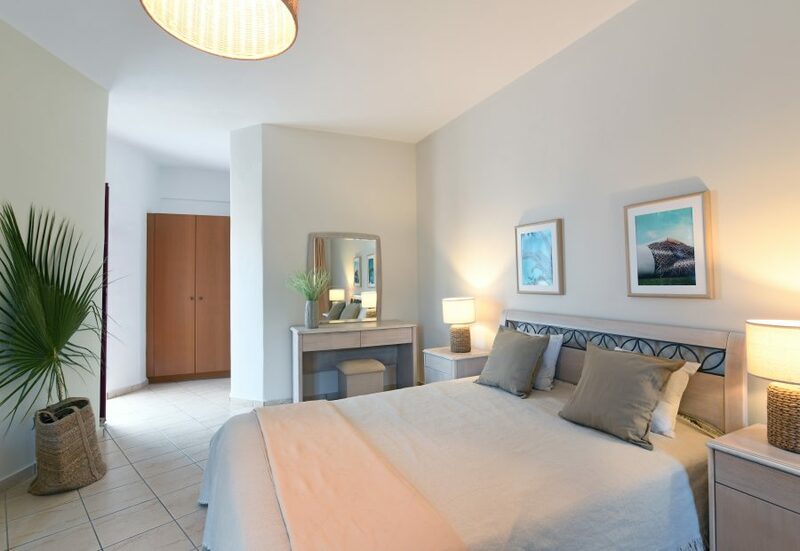 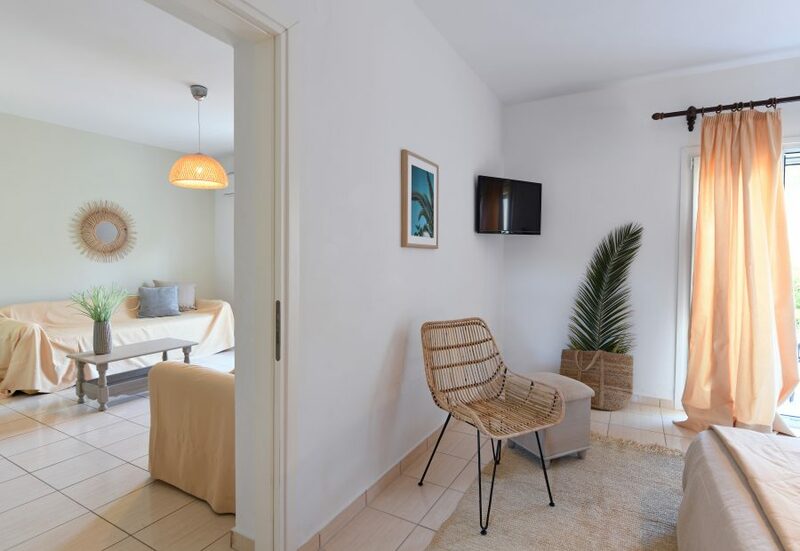 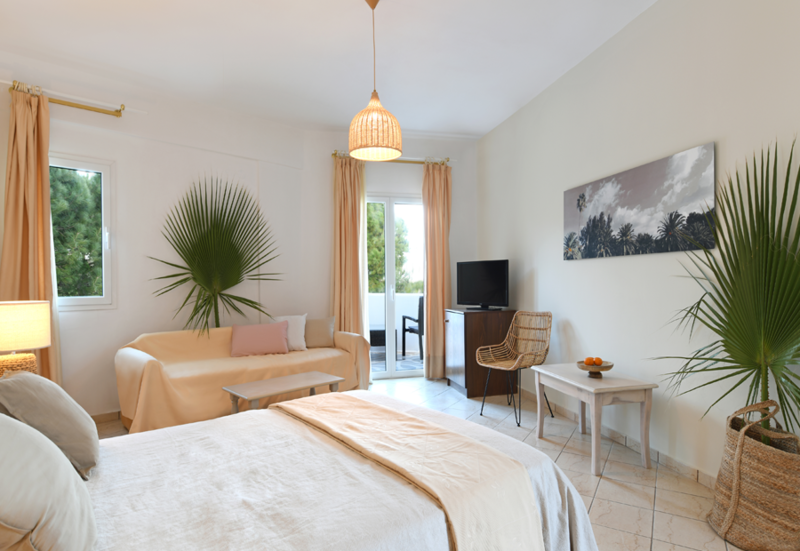 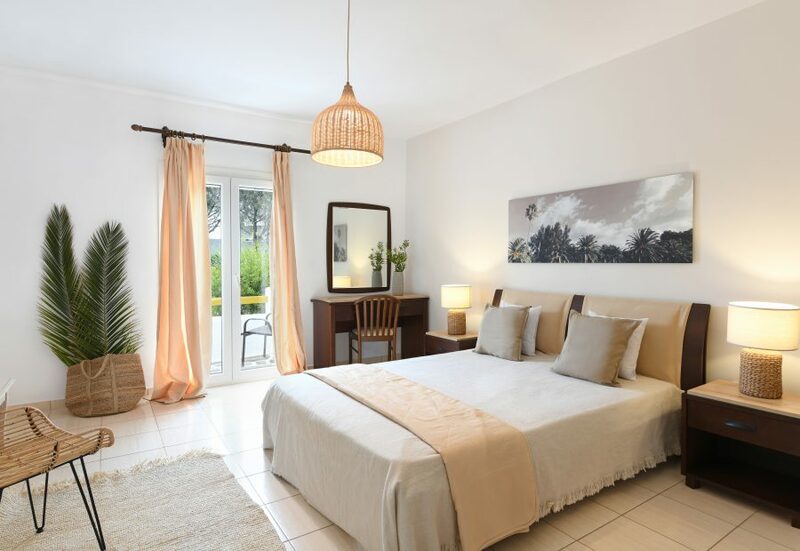 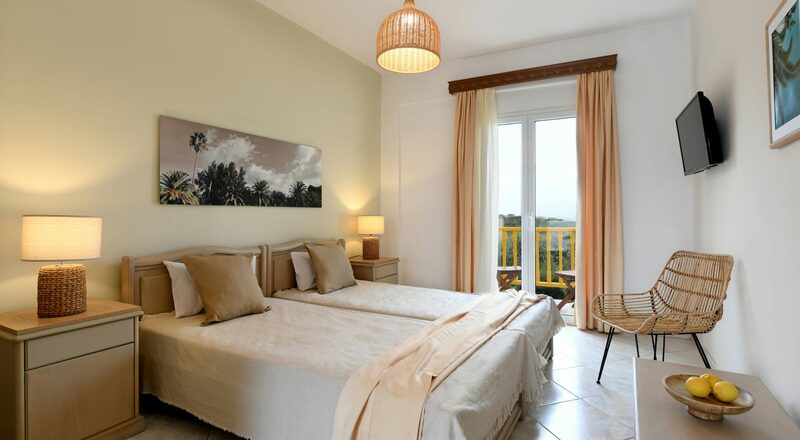 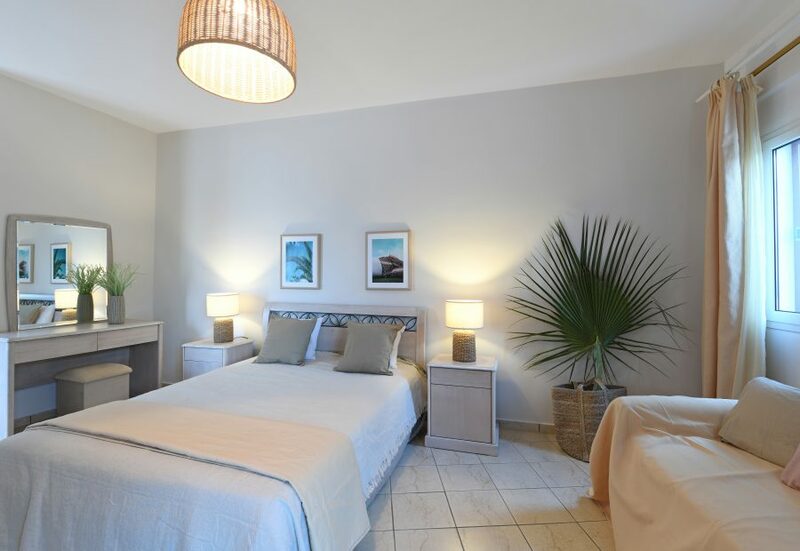 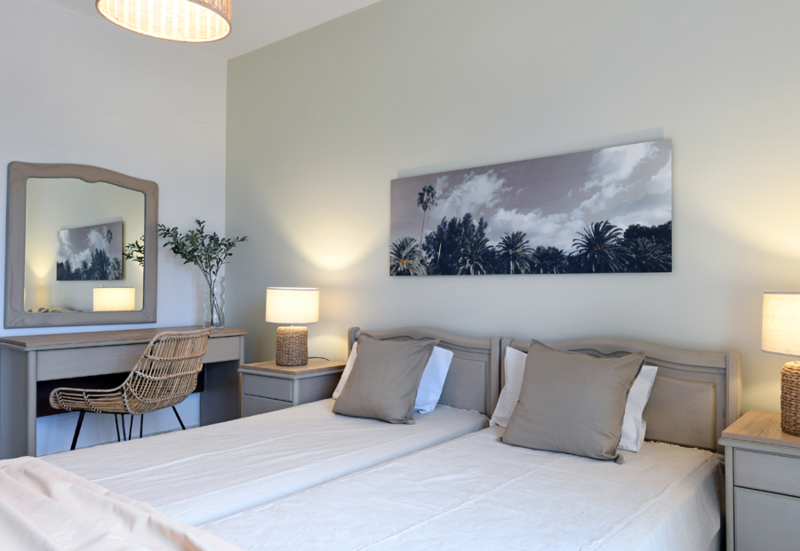 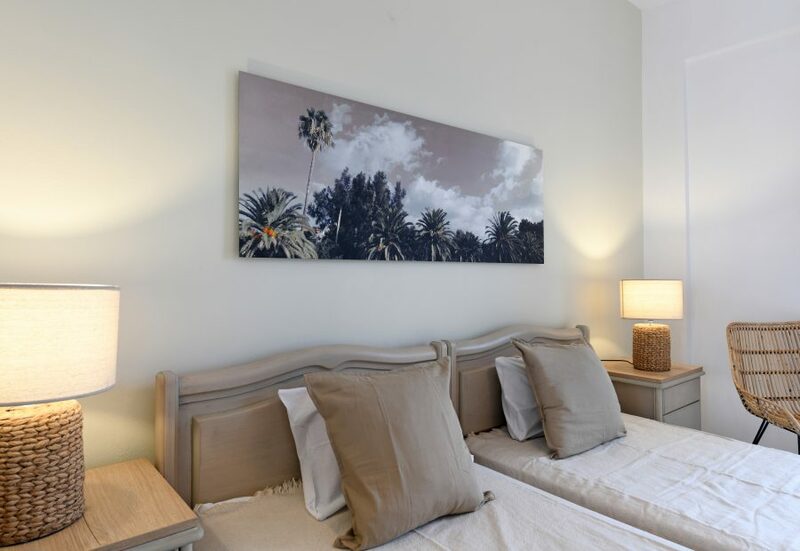 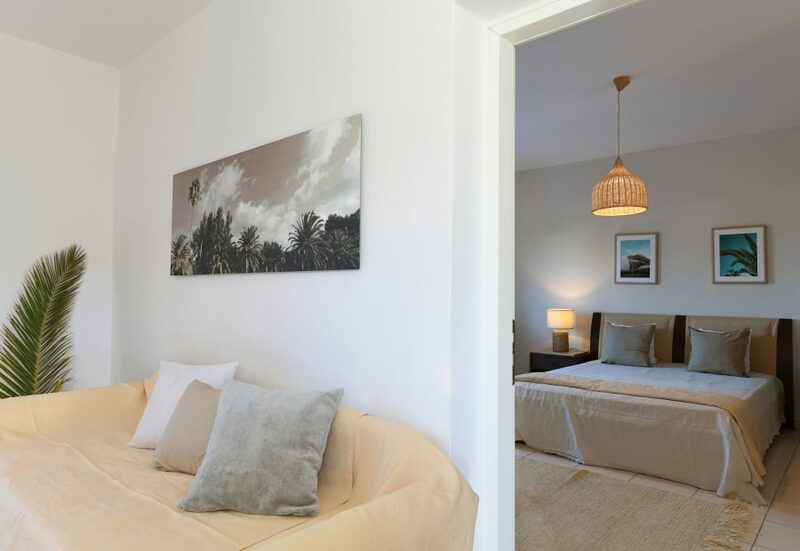 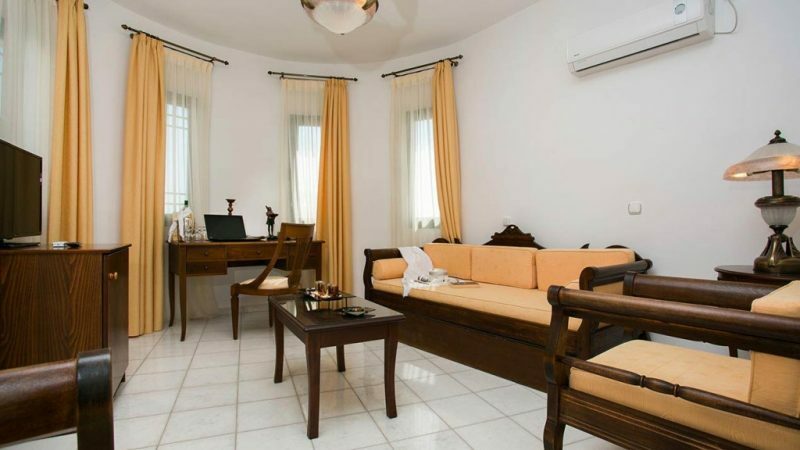 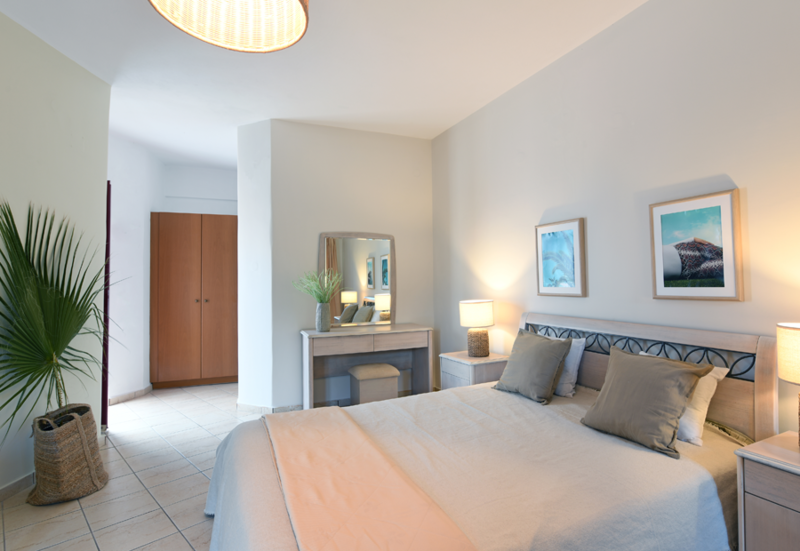 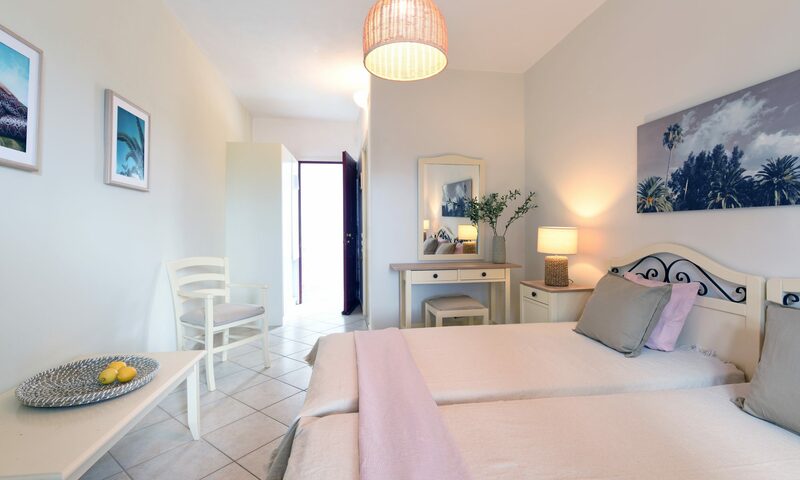 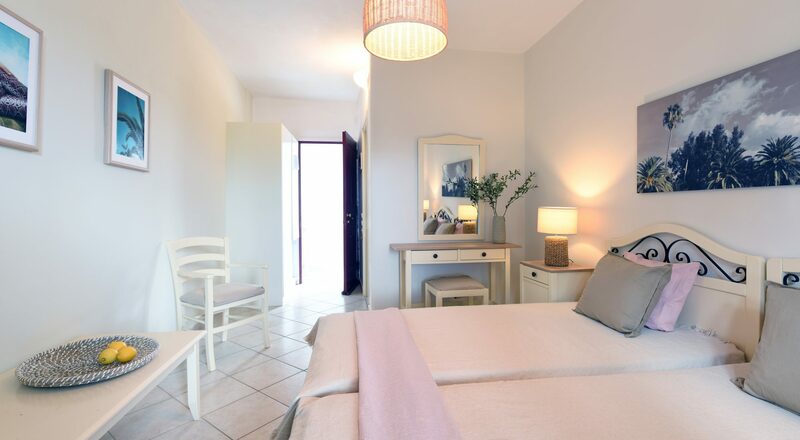 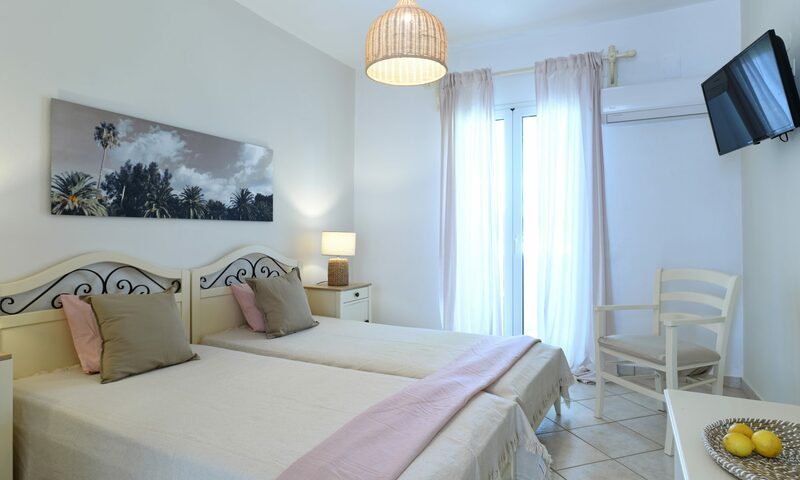 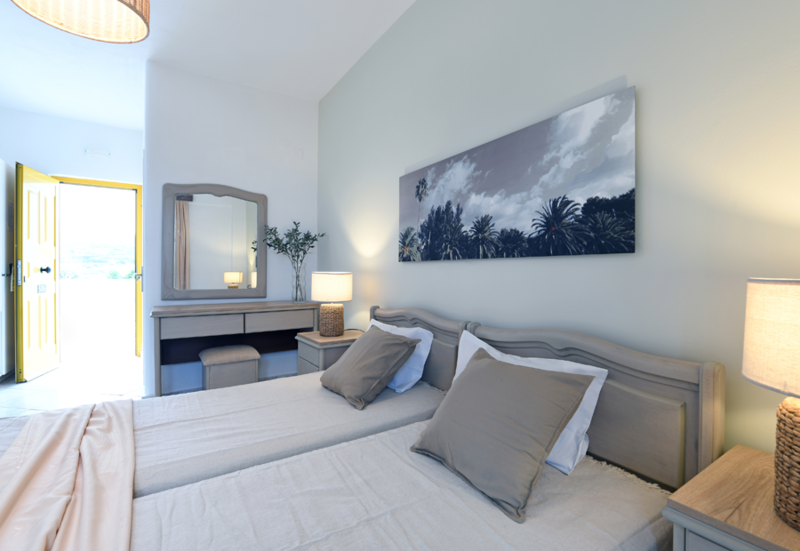 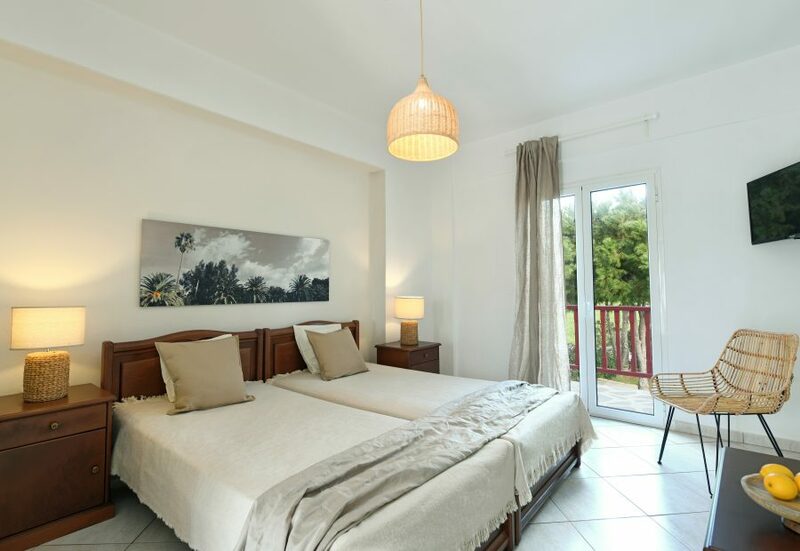 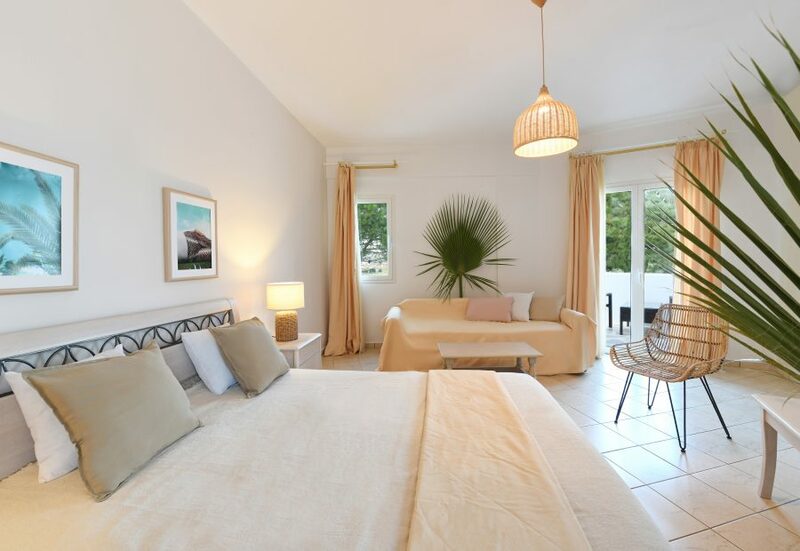 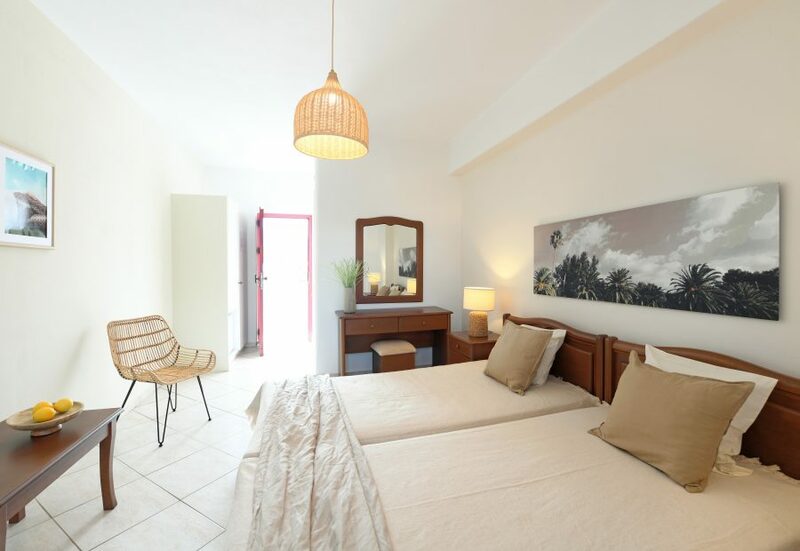 this room type accommodates two guests and features lovely views of the sea from the balcony. 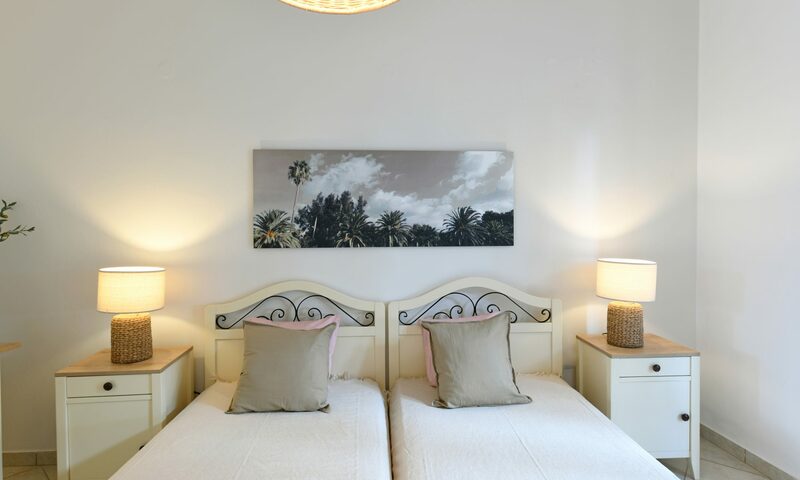 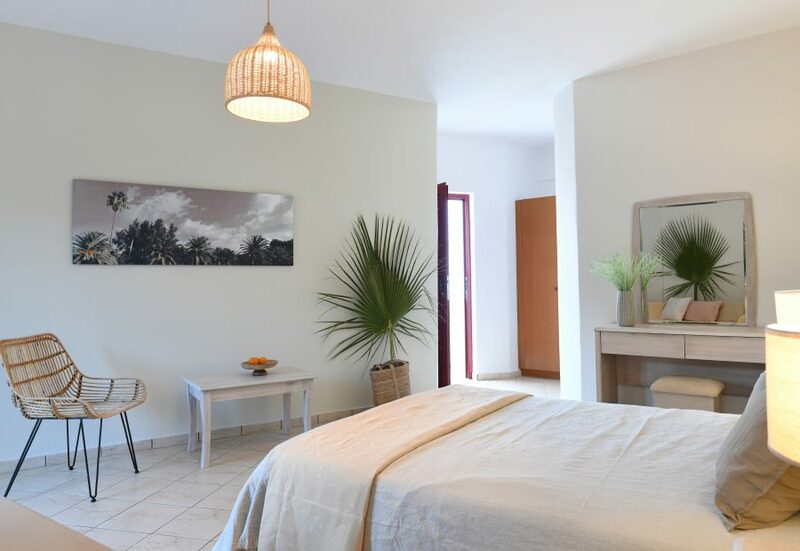 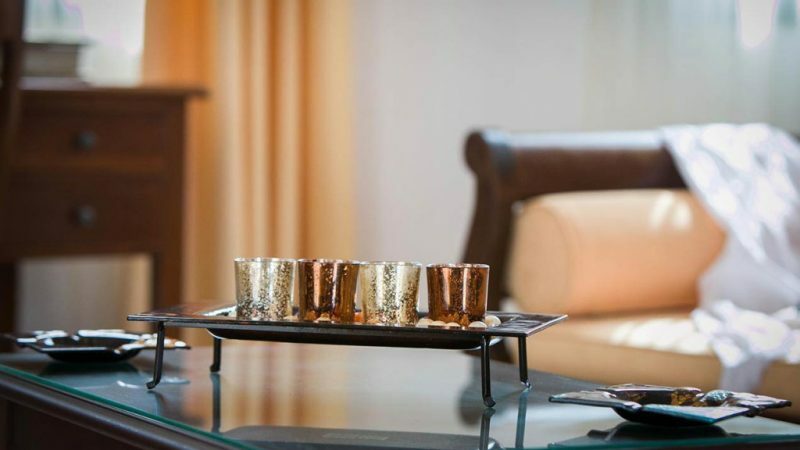 Very spacious and situated on the upper floor our Superior rooms can accommodate up to three guests making use of the included Sofa bed and also feature a jetted tub. 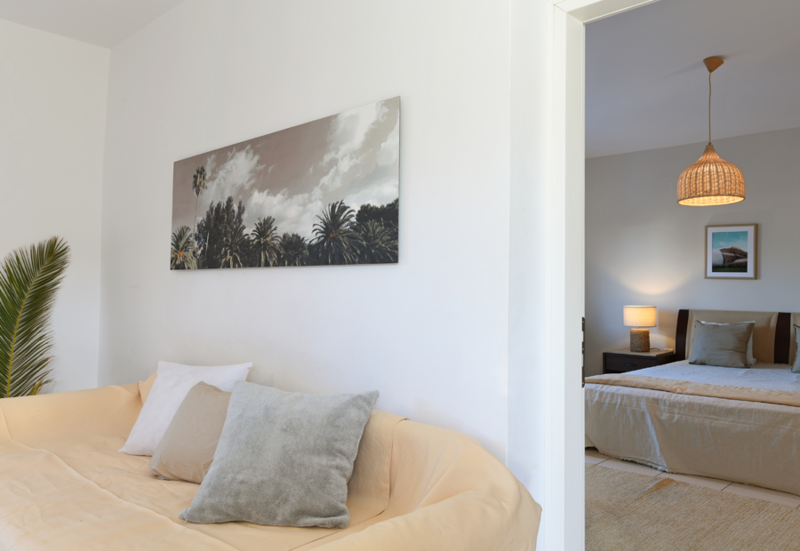 Our Junior Suite is located on the upper floor, features a bedroom with a double bed and a separate living area with a desk and sofa bed. 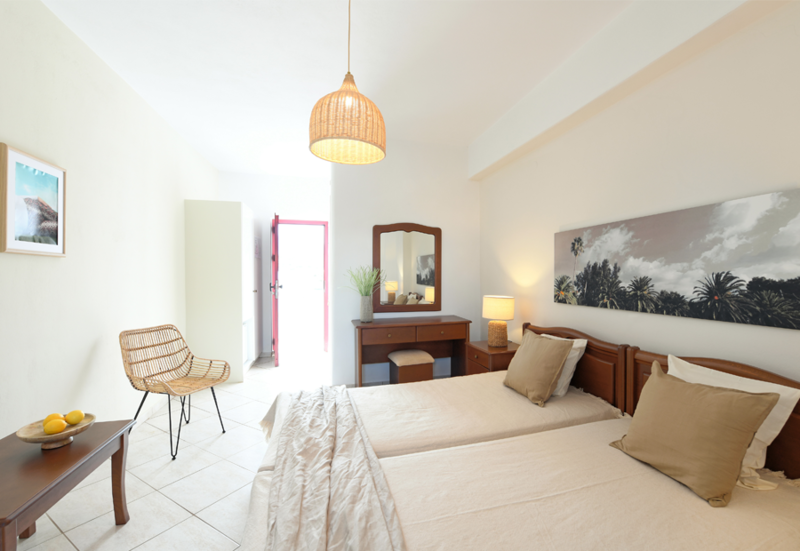 Can accommodate up to three guests. 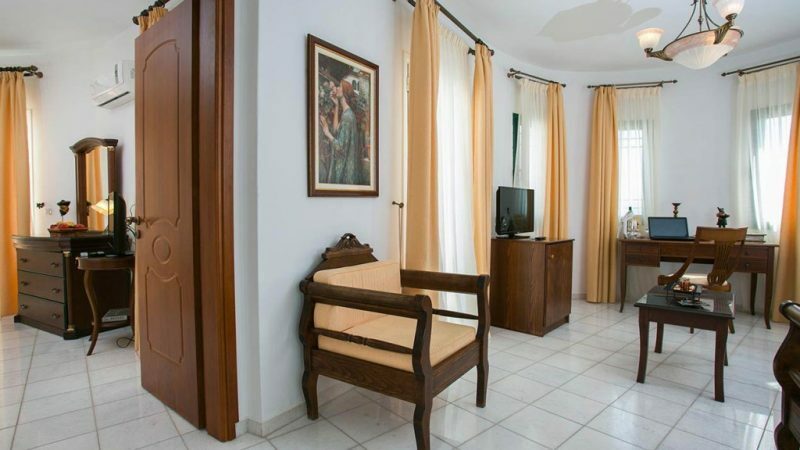 Superior Family Room Garden View. 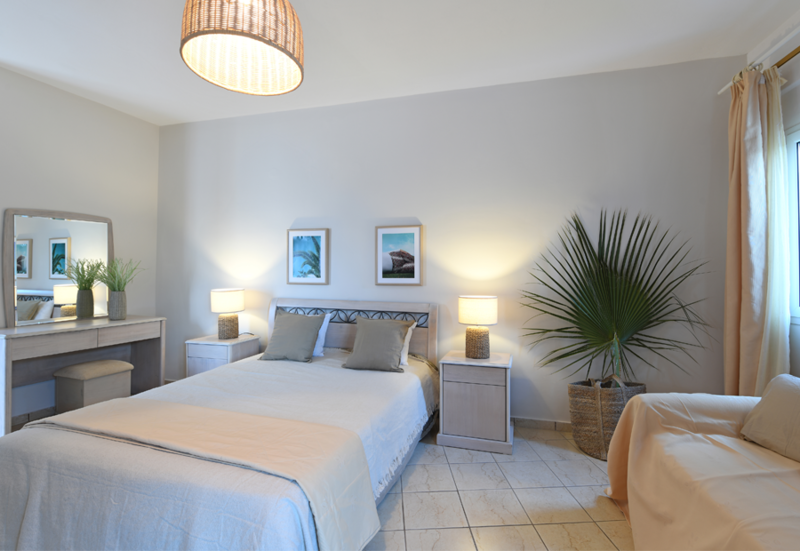 Our largest rooms , featuring both a bedroom and a separate living area separated by a door offer both comfort and privacy. 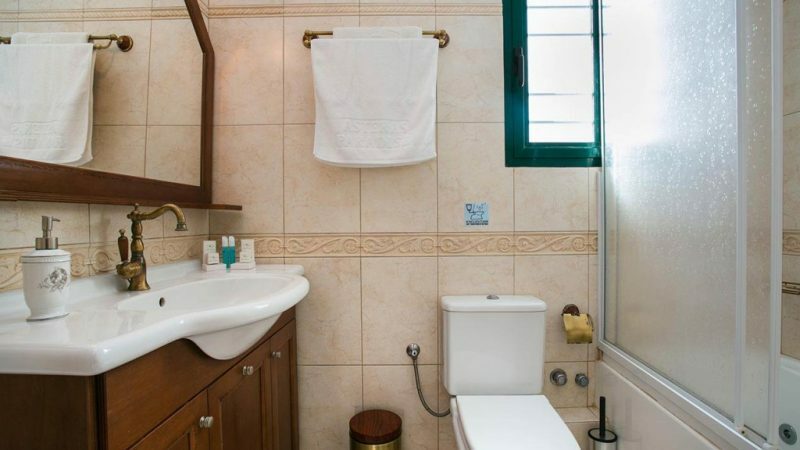 Some rooms of this type also feature two bathrooms.